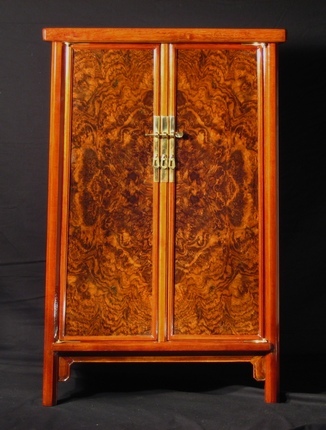 This cabinet is a modern interpretation of a classic Chinese round corner cabinet, a yuanjiaogui. The legs are octagonal in cross-section. 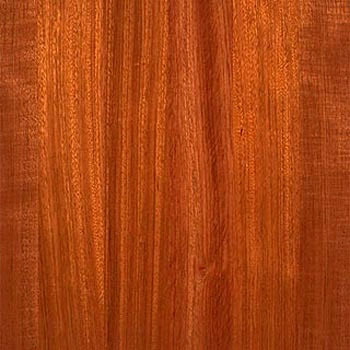 Top and sides are solid jatoba in frame and panel construction. Doors are 4-way bookmatched walnut burl veneer on show side and walnut veneer on inside. The doors pivot on custom blade hinges of brass.